A food garden that features a wide range of fruits and vegetables and information on growing techniques. 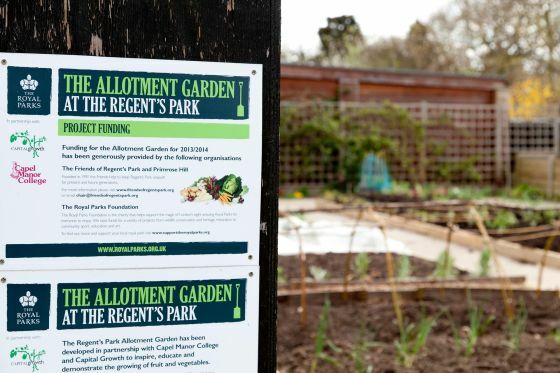 The Regent's Park Allotment Garden is open to the public Monday - Friday from 8.30am - 4:30pm. You can find us on the corner of the Inner Circle and Chester Road, next to the Park Office. The site is maintained by a team of dedicated volunteers. The garden is successfully run as a partnership between The Royal Parks, Capital Growth and Capel Manor College. The Allotment Garden is kindly supported by The Friends of Regent's Park and The Royal Parks Foundation. 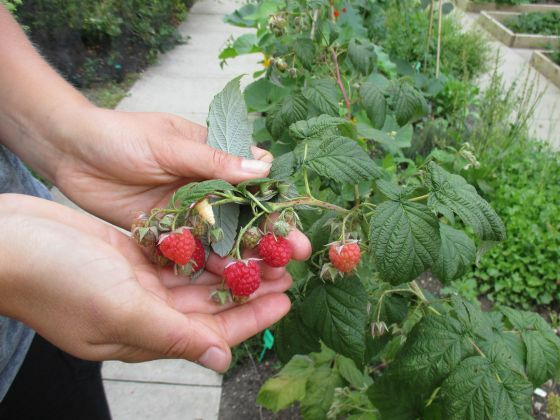 If you'd like to support the project you can donate money toward the garden through the Capital Growth website.